For more than 65 years, we’ve earned our reputation for reliability and excellence in serving the biotech, pharmaceutical and nutrition markets. With a new name* and logo, Sheffield Bio-Science brings together its long history of quality lactose and cell nutrition product lines with new innovative solutions and market-driving alternatives to help our customers succeed. At Sheffield Bio-Science, we make it our business to exceed our customers’ expectations every day. Our smart people use their product knowledge and industry expertise to deliver the highest quality cell nutrition and excipient solutions for consistent results you can count on every time. We partner with customers to develop innovative and relevant solutions that offer greater manufacturing performance, improved reliability and cost savings. Through continued investment in research and technologies, we help you compete in a rapidly changing marketplace. As a Kerry Group Business, you benefit from our application expertise and vast global resources of a $6 billion global leader. In addition to laboratories in Norwich, New York, Sheffield Bio-Science customers have access to a new, state-of-the-art Kerry Center in Beloit, Wisconsin, complete with dedicated laboratories, pilot equipment and sensory facilities. By continually evaluating our customer relationships, we ensure we are contributing to your success in everything we do. We prove it every day. Let us prove it to you. 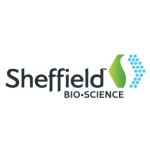 * The new Sheffield Bio-Science branding reflects a change in the trading name only. This does not change or impact in any way the company’s legal entity. Customers do not need to make any changes, update any of their systems or FDA registrations.